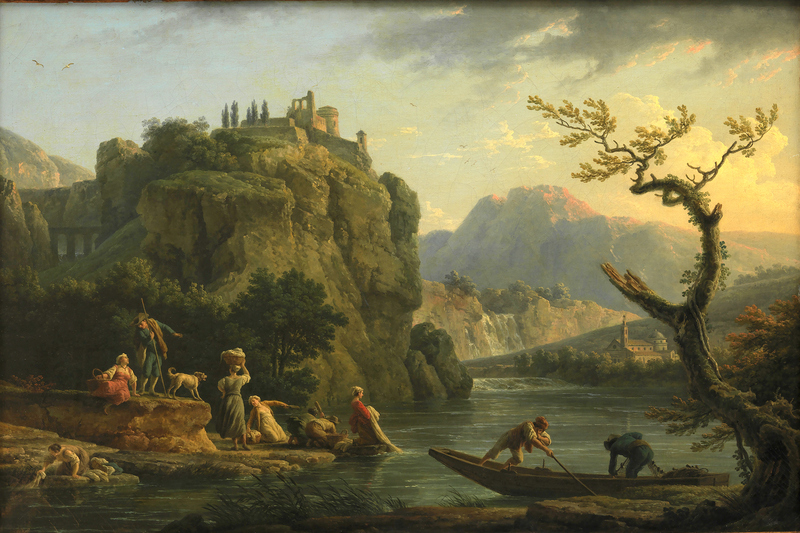 Claude-Joseph Vernet – Statens Museum for Kunst KMS3765. Title: A Mountain Scenery with a River. Date: 1770. Materials: oil on canvas. Dimensions: 65.5 x 97.5 cm. Inscriptions: I. Vernet. f 1770 (lower right). Nr. : KMS3765. Source: https://commons.wikimedia.org/wiki/File:Bjerglandskab_med_en_flod.jpg. I have changed the light and contrast of the original photo. Jan van der Haagen – Museum Bredius 49-1946. Title: Small Pasture with Cattle in the Woods. Date: c. 1640s – 1660s. Materials: oil on panel. Dimensions: 49.5 x 60 cm. Nr. : 49-1946. Source: http://en.museumbredius.nl/wp-content/uploads/sites/2/2014/01/Collectie-Schilders-EH-Haagen-Cat.-64-Inv.-49-1946.jpg. I have changed the light and contrast of the original photo. Bernardo Bellotto – Columbia Museum of Art 62.37.22. Title: Capriccio with a Roman Arch. Date: c. 1745. Bernardo Bellotto – Columbia Museum of Art 62.37.22. 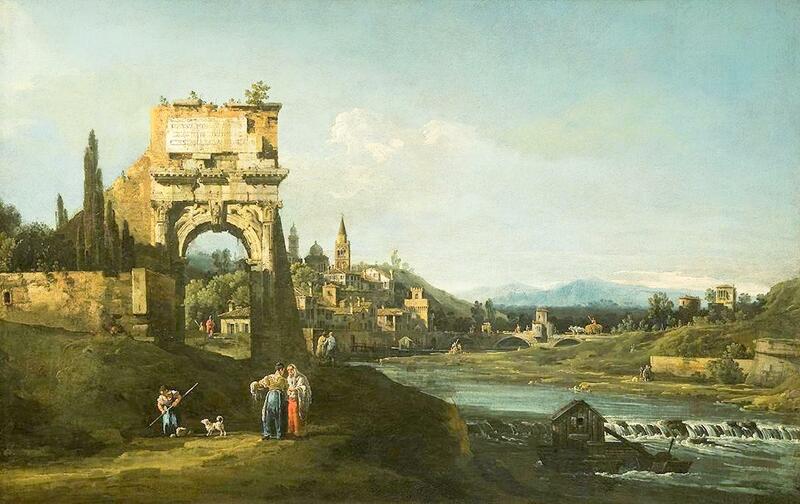 Title: Capriccio with a Roman Arch. 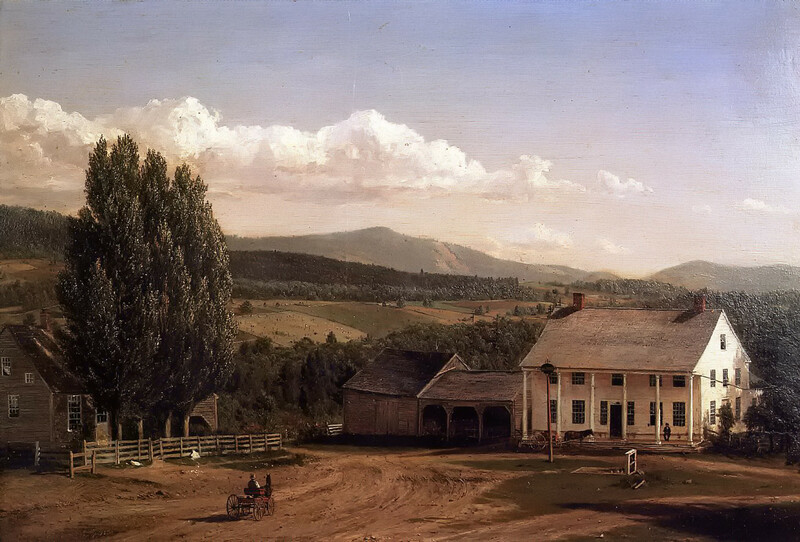 Date: c. 1745. Materials: oil on canvas. Dimensions: 58.4 x 91.4 cm. Nr. : 62.37.22. 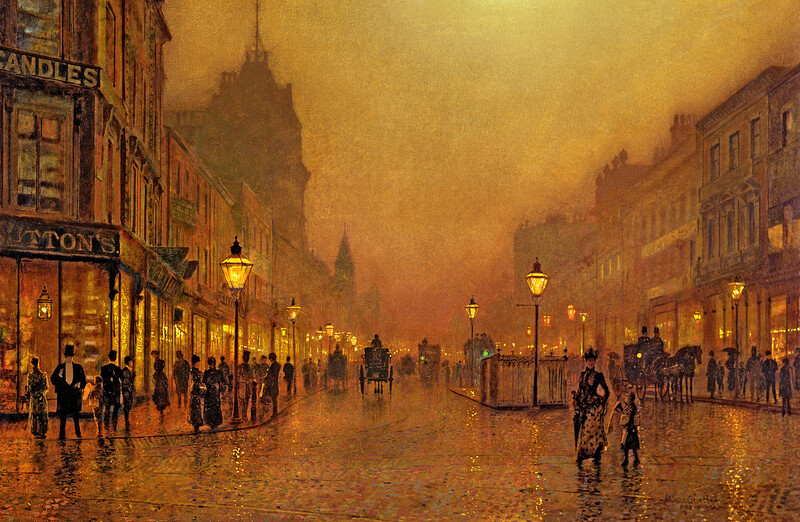 Source: http://www.the-athenaeum.org/art/display_image.php?id=842919. I have changed the light and contrast of the original photo. Claude Gellée (le Lorrain) – Galleria degli Uffizi. 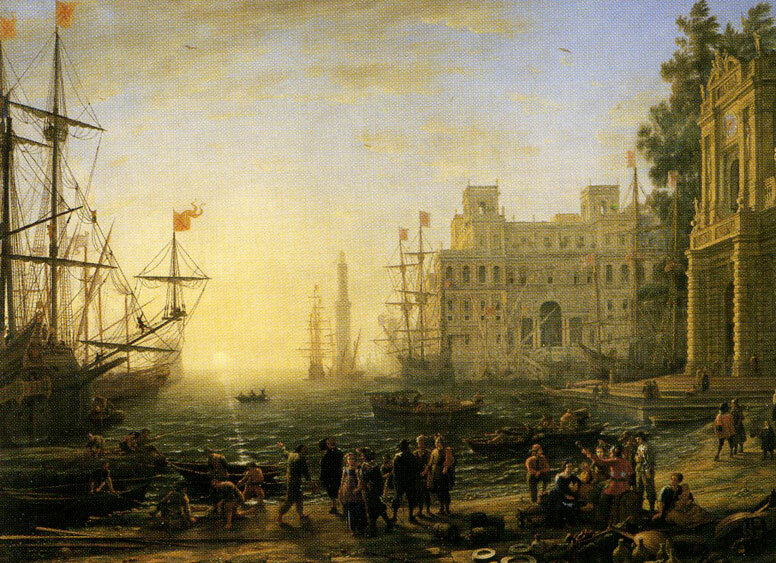 Title: Port Scene with the Villa Medici. Date: 1637. Materials: oil on canvas. Dimensions: 102 x 133 cm. 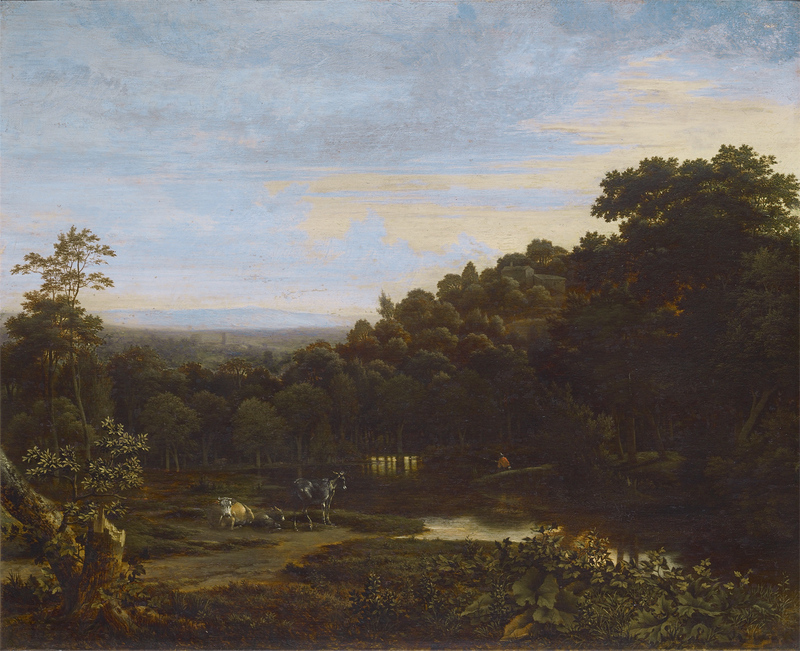 Source: http://www.museumsinflorence.com/uffizi/18/image/claude-lorrain.jpg. I have changed the light and contrast of the original photo. Tsuchiya Koitsu – private collection. 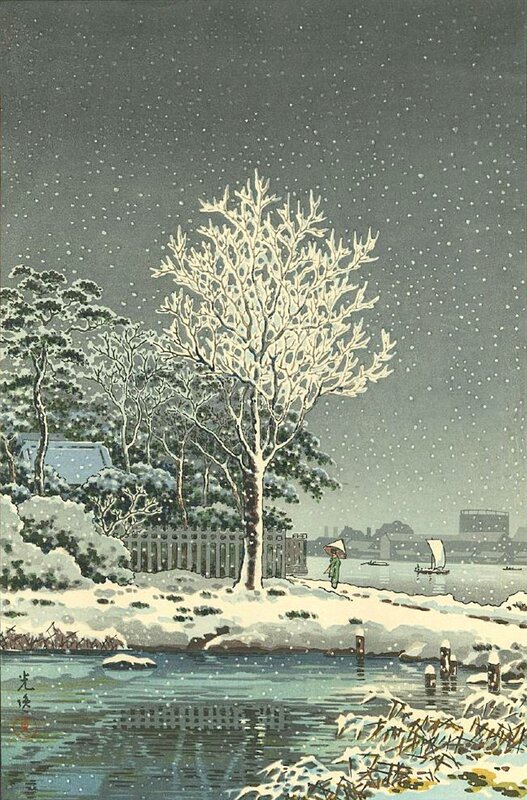 Title: Snow on the Sumida River. Date: after 1935. Materials: woodblock print. Dimensions: 26.7 x 39.4 cm. Publisher: Doi with Harada-Seki. Source: https://p1.liveauctioneers.com/5584/110205/56550017_1_x.jpg?version=1507238566&width=1600&format=pjpg&auto=webp. I have changed the light and contrast of the original photo. Lodewijk Johannes Kleijn – Bies Kunsthandel. Title: Zomers landschap met molen langs een rivier. Date: 1837-1897. Materials: oil on panel. Dimensions: 33.5 x 52 cm. 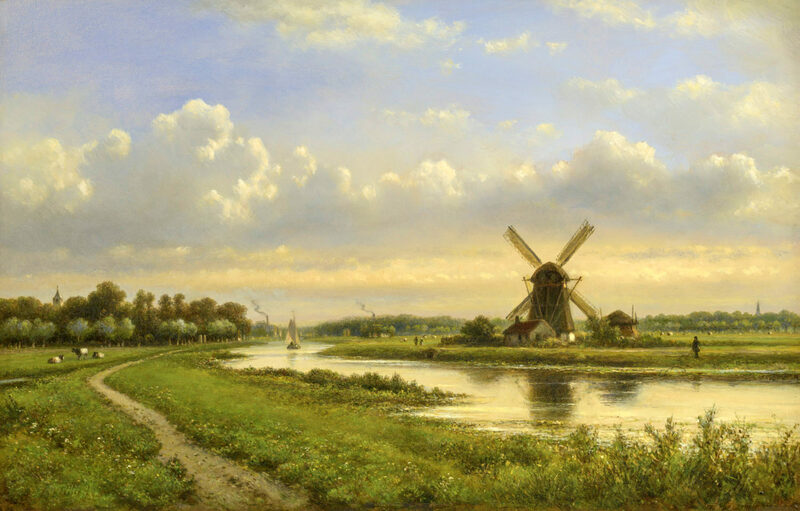 Source: http://www.kunsthandelbies.nl/wp-content/uploads/kleijn-lodewijk-johannes-zomers-landschap-met-molen-langs-een-rivier-e1468415000802.jpg. I have changed the light and contrast of the original photo. 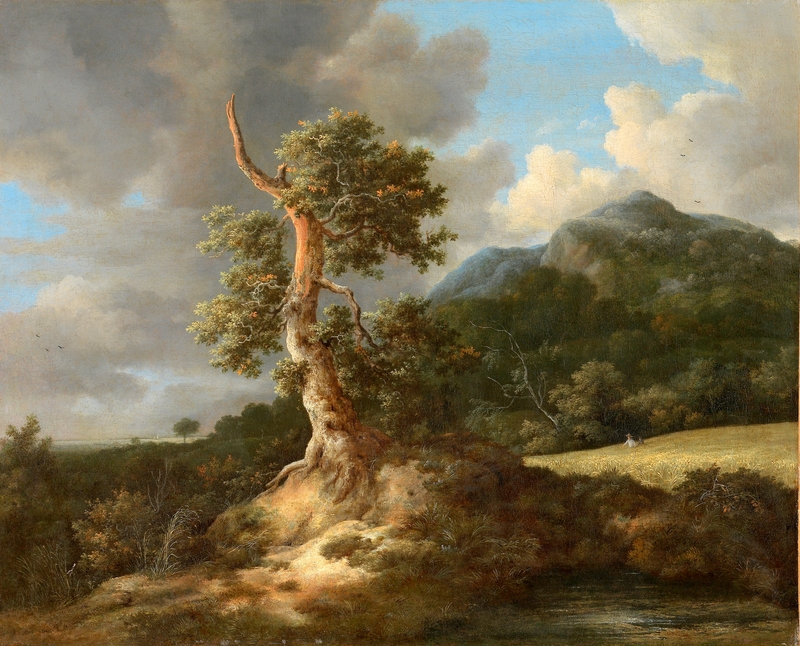 Barend Cornelis Koekkoek – MacConnal-Mason Gallery. Title: Winter Landscape. Date: 1856. Materials: oil on panel. Dimensions: 33.5 x 46 cm. 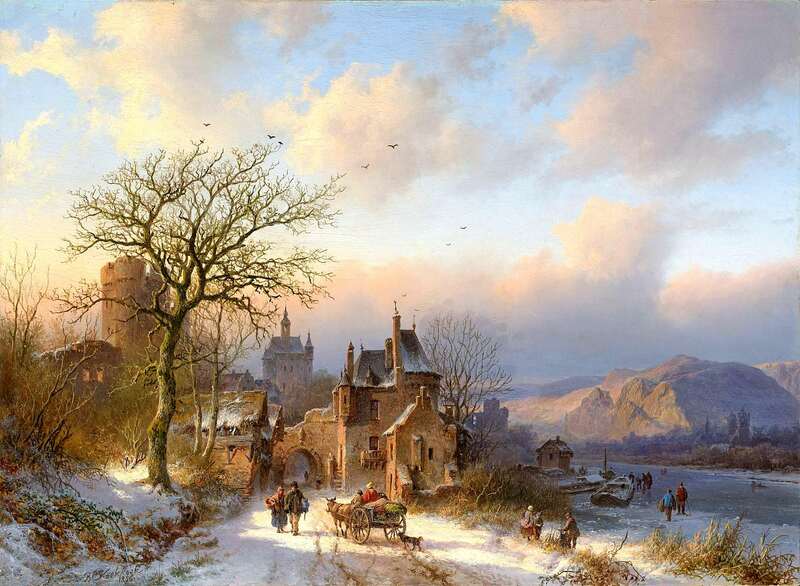 Source: http://www.macconnal-mason.com/FullScreenZoom.aspx?photos_zoom=MacConnalMasonMacphoto/Barend%20Cornelis-Koekkoek-AWinterLandscape-2752016T122235.jpg. I have changed the light and contrast of the original photo.